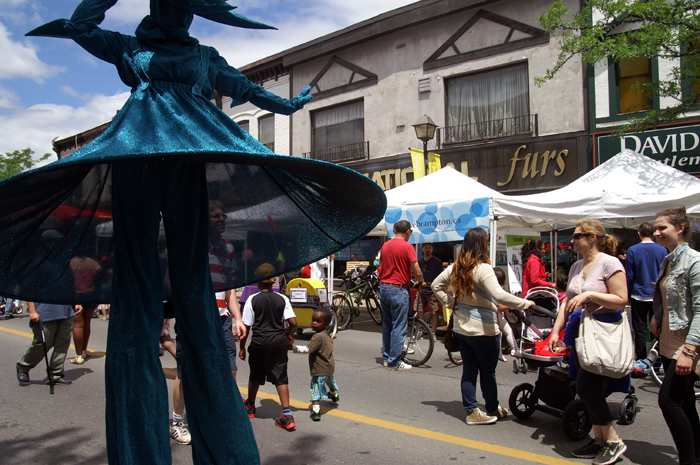 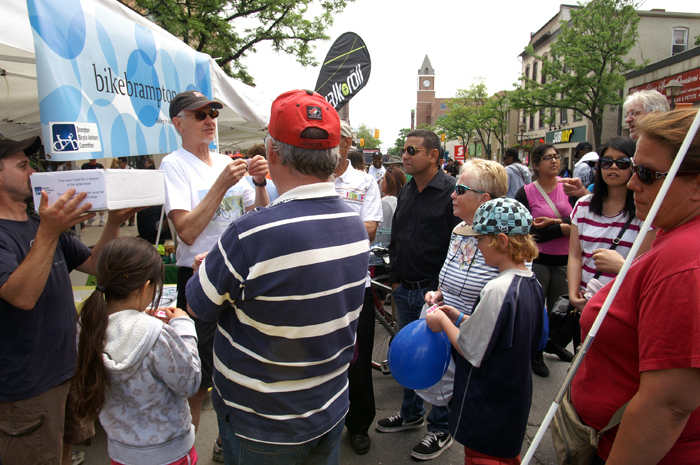 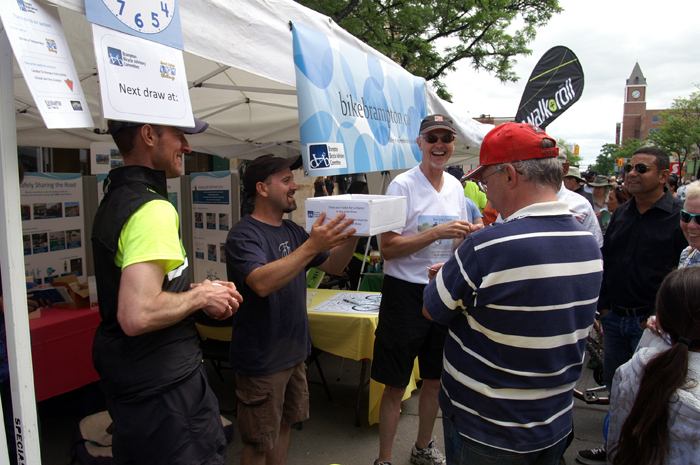 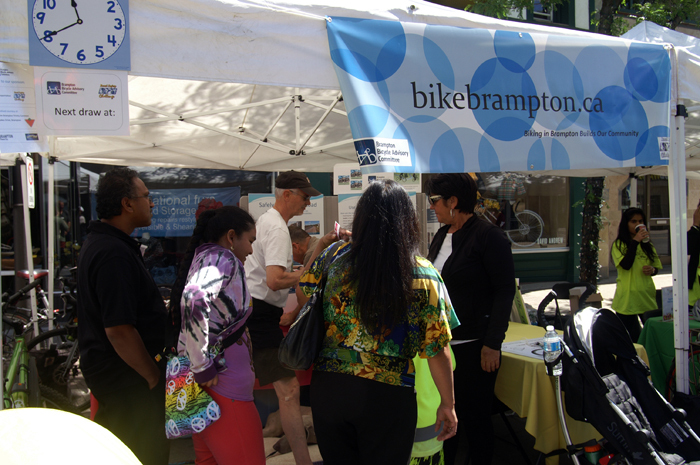 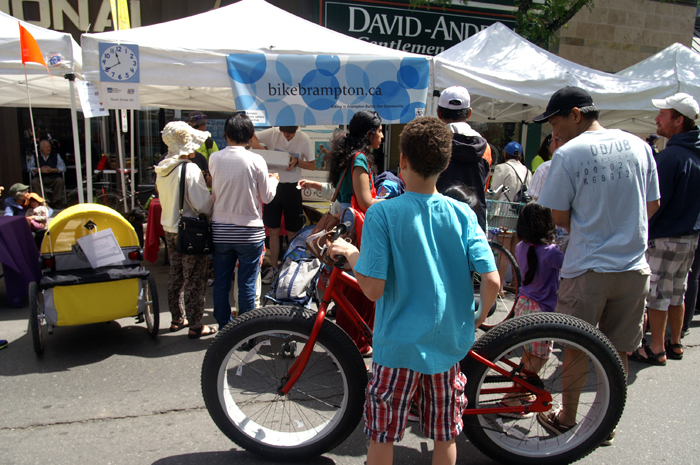 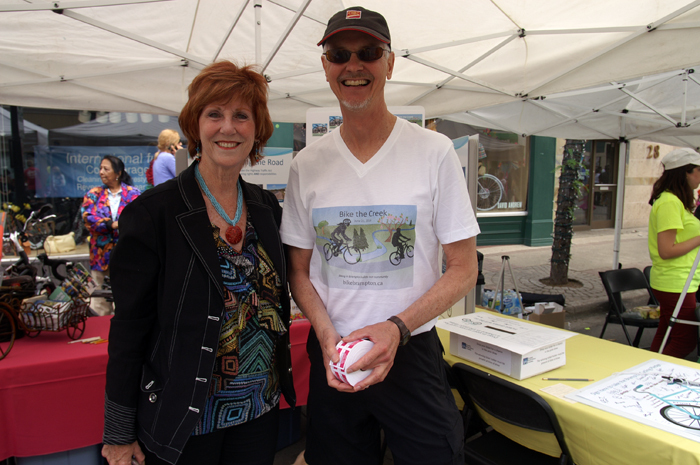 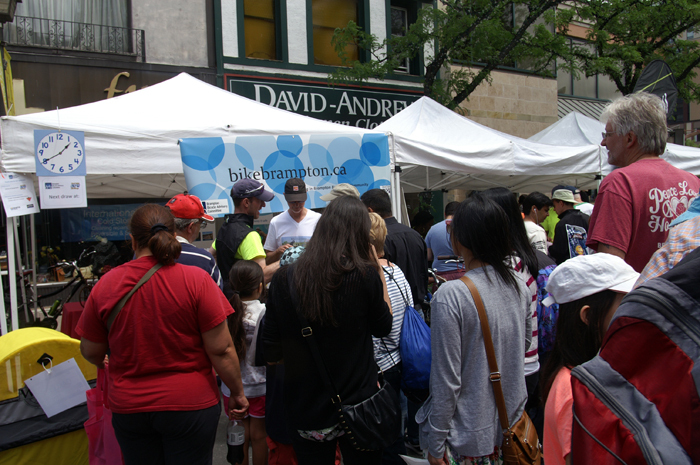 Cycling has come of age as Brampton crowds swarm Brampton Bicycle Advisory Committee Bike Fest Celebrampton booth along Main Street. 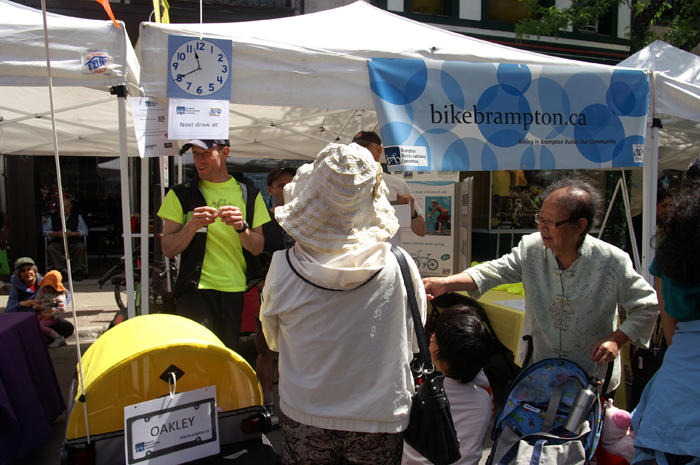 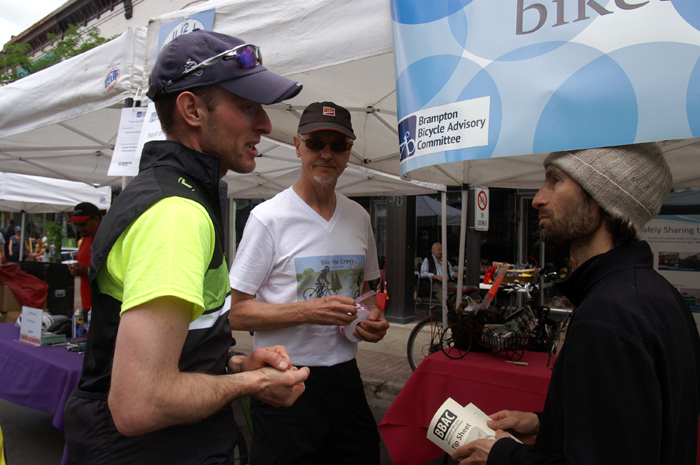 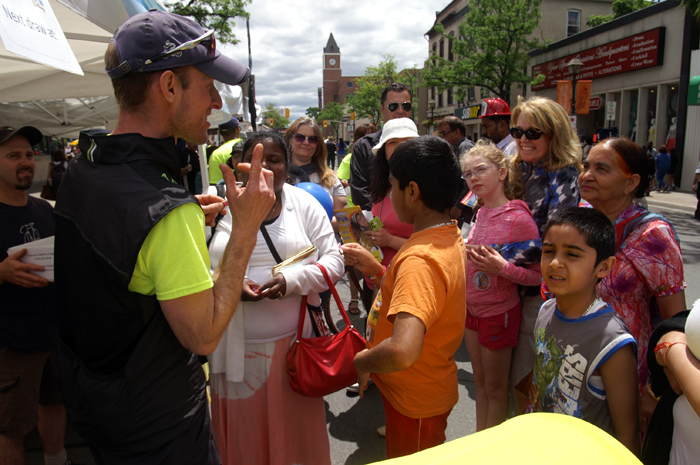 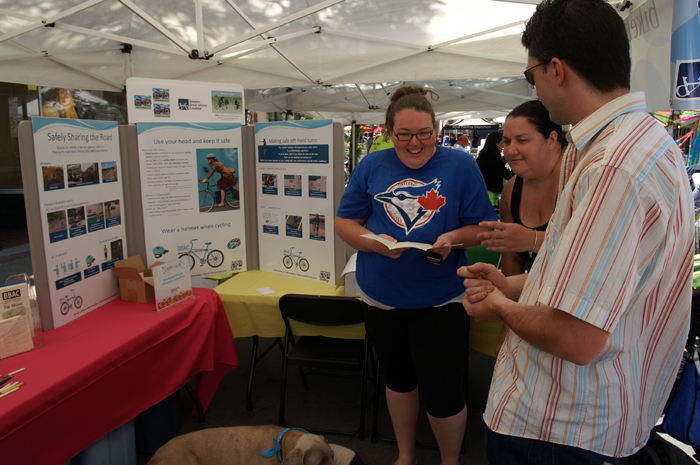 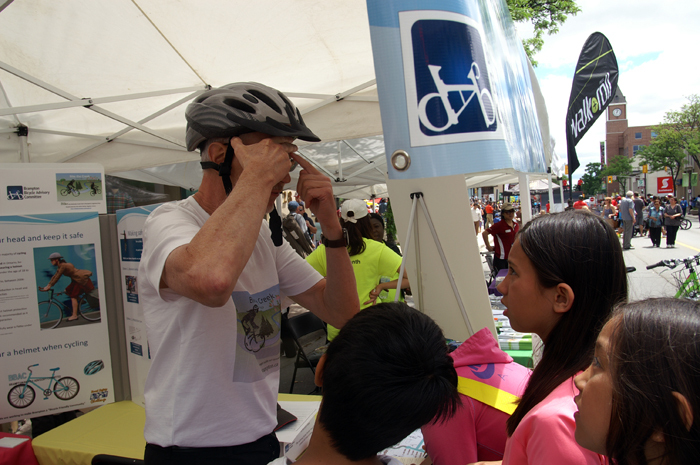 Residents gathered at BBAC booth to hear our committee volunteers explain cycling safety tips to the youth and adults of Brampton. 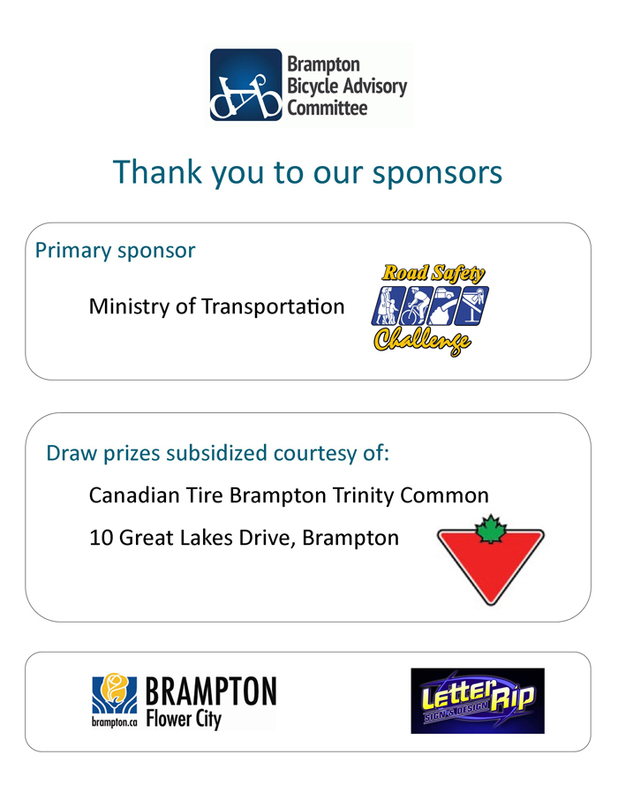 Ontario Ministry of Transportation’s Road Safety Challenge who provided funding, to Canadian Tire Brampton Trinity Common who provided discounted and some donated bicycle safety equipment for our draw, to Letter Rip Sign & Design who provided our banner printing at a discounted price, and to the City of Brampton for providing the booth & opportunity! 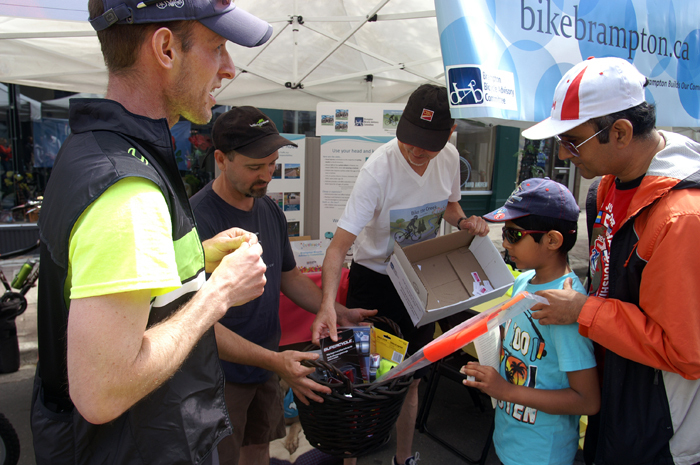 Draw winner selecting the equipment he needs to make his bicycle safe! 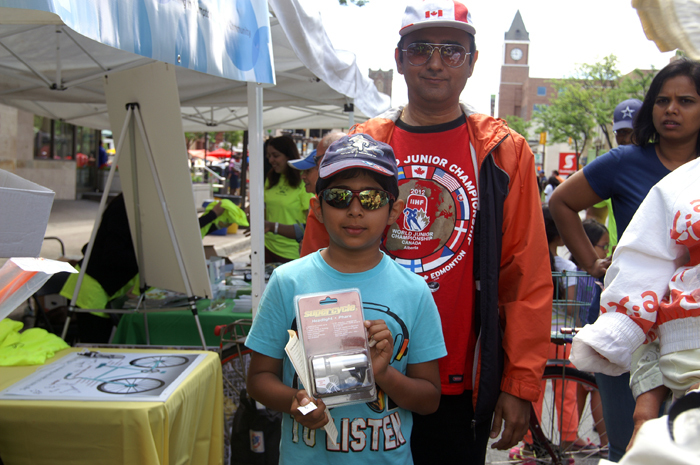 Proud draw winner with bicycle headlight! 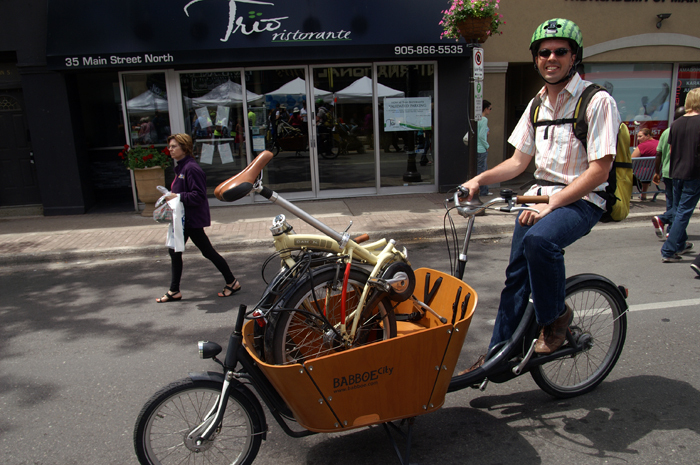 Kevin Montgomery, BBAC member displays his Babboe cargo bike and his commuter folding bike — great options for active transportation in Brampton! 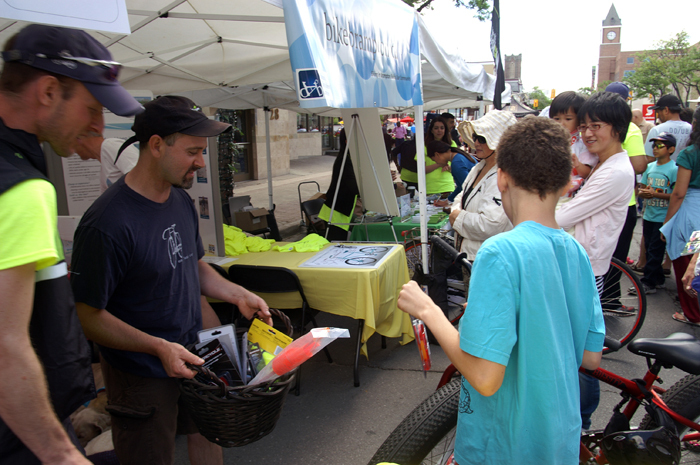 Draw tickets being called. 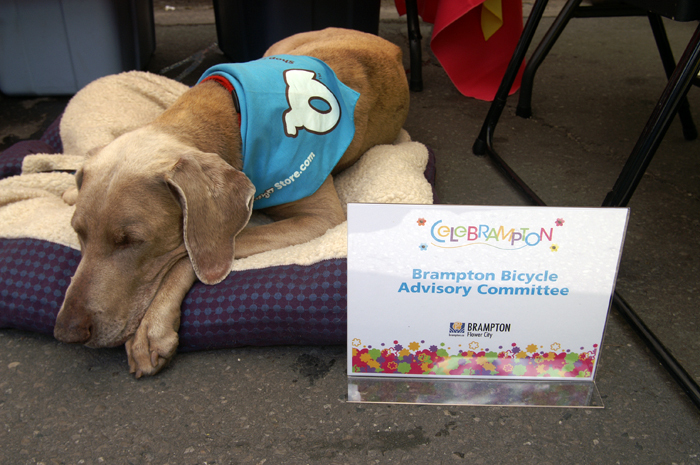 Mascot Oakley arrived in his WIKE bike trailer. 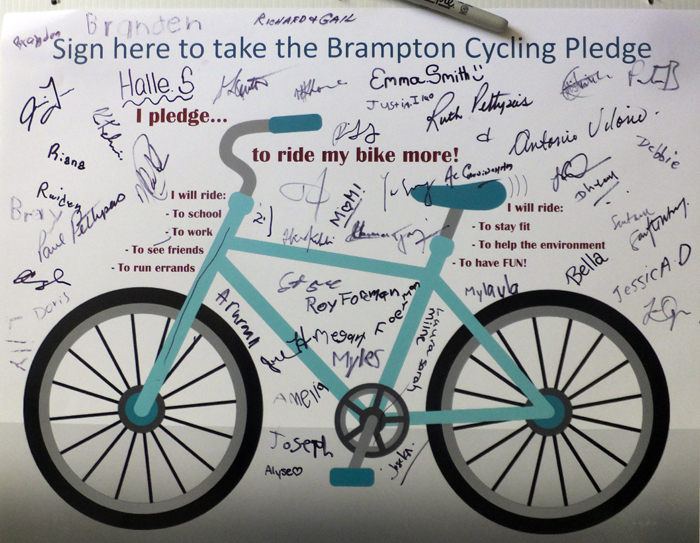 Overall, an exciting day for the Brampton Bicycle Advisory Committee and all those who participated. 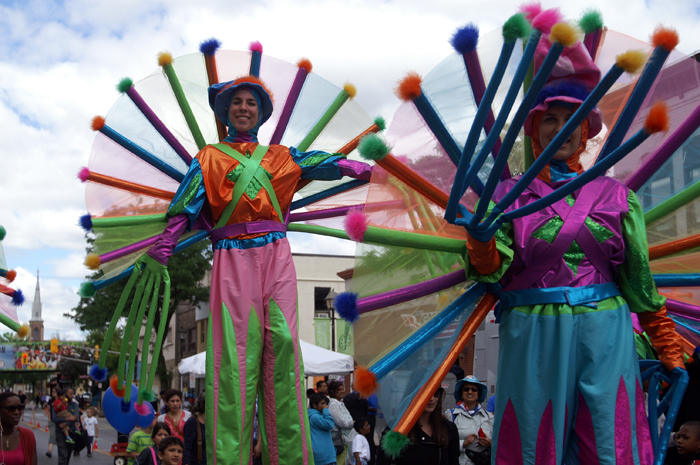 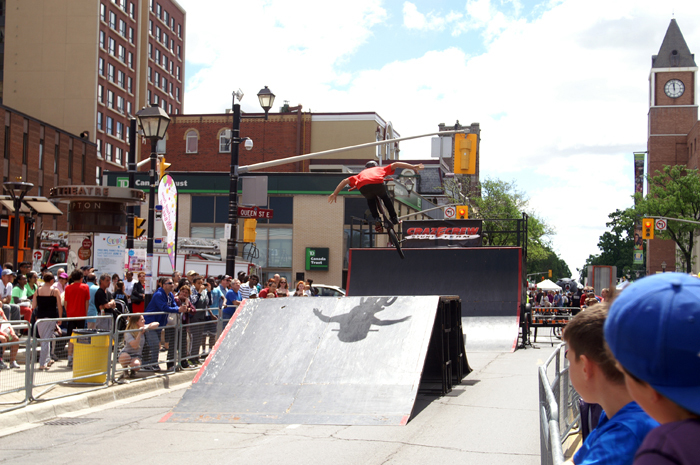 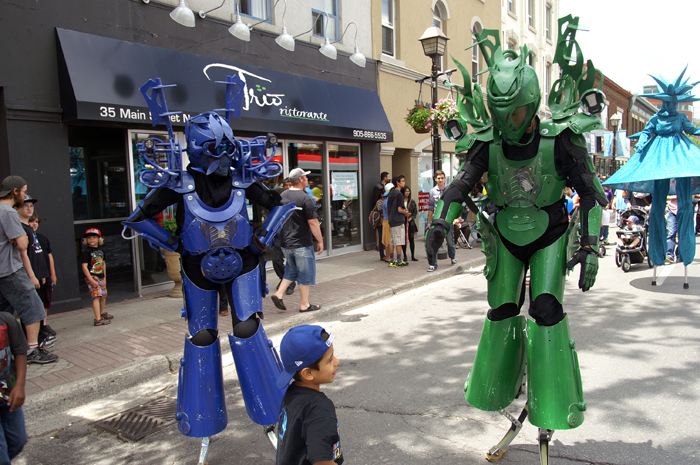 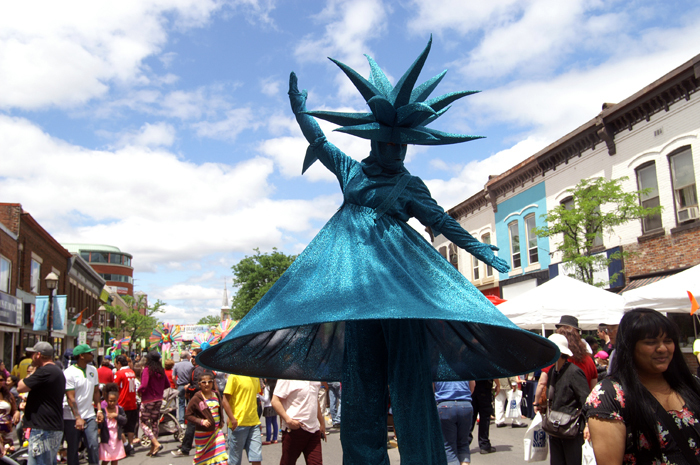 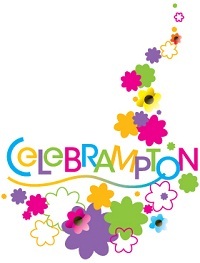 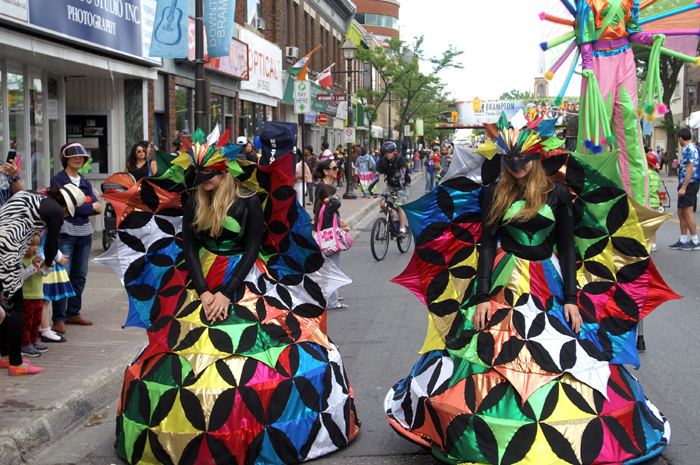 Our special thanks to the City of Brampton for organizing this fabulous event!